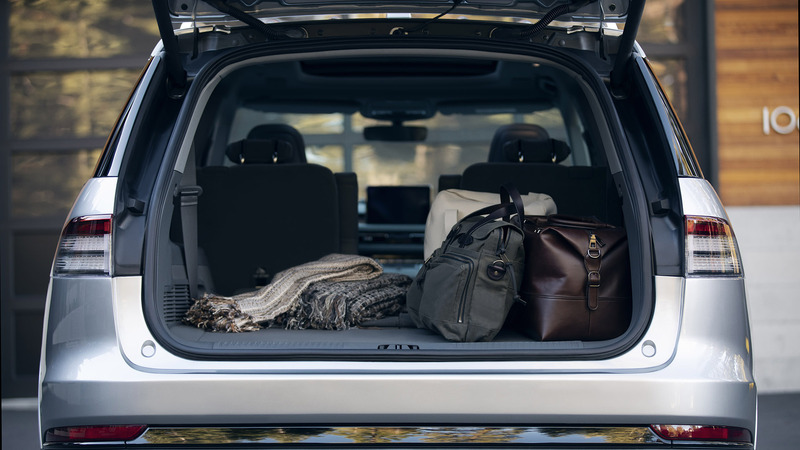 What's old is new again at Lincoln: Straight lines, real names, and a three-row, Ford Explorer-based SUV called the Lincoln Aviator. Yes, it's technically the second go-around for the aeronautic nameplate, last seen in 2005—but with an elegant design, fancy tech like a camera-based adaptive suspension system, and an electrified twin-turbo powertrain, it looks like Lincoln really nailed the landing this time. Say what you will about Ford Motor Company's decision to go all-in on trucks, but if focusing its ambitions yields more thought-out vehicles like this one, we certainly won't be complaining. 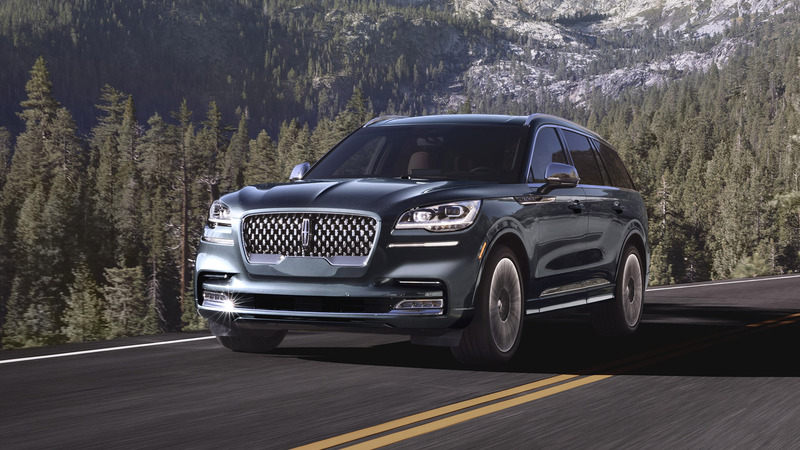 The Lincoln lineup currently sports three SUVs: the tiny MKC, based on the Ford Escape platform; the midsize Nautilus, cousin to the Ford Edge; and the mighty Navigator, which at this point needs no introduction. 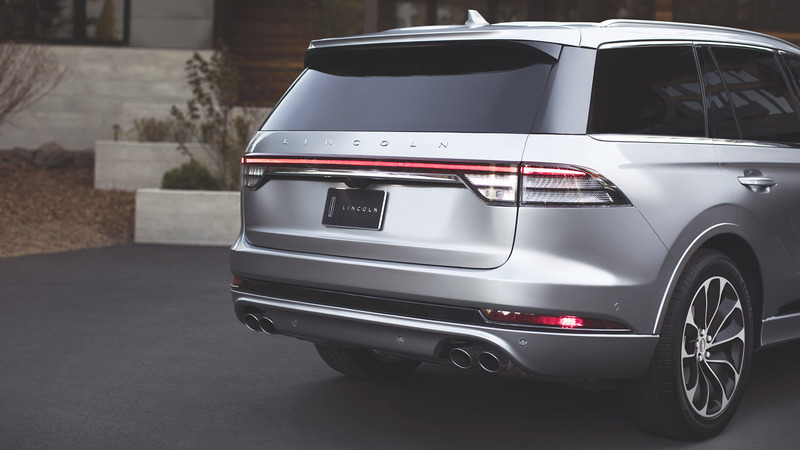 The new Lincoln Aviator shares a brand-new, rear-wheel-drive platform with the next-generation Ford Explorer, slotting it between the Nautilus and Navigator in size and scope. Good things happen when automakers build the concept car. The Aviator concept wowed critics and the public during its debut at the New York auto show in March, and its clean, dignified design snuck past the bean counters to make it to production. 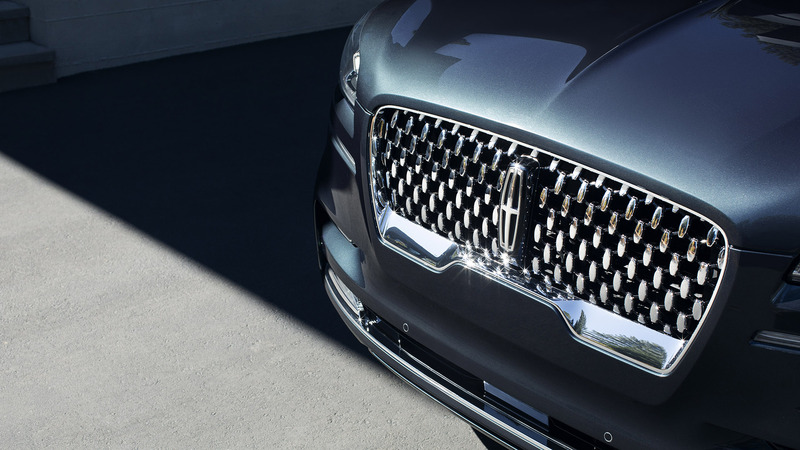 The front wears a unique, swept-back interpretation of Lincoln's shared fascia that rolls into a refreshingly flat beltline. It all feels very settled, emphasizing restraint over adornment. The thin D-pillar is a real standout—so many SUVs today get all pinched up in the back, and Lincoln design director David Woodhouse told us it was a deliberate decision to buck the trend and "relax" the Aviator's rear. Given the name, you'd expect a certain amount of aviation references, and you'll find them in the slight wraparound windshield, the gorgeous Flight Blue color, and the airfoil shape formed by the sloping roof and straight beltline. Woodhouse said that the design team also drew inspiration from postwar European GT cars, in particular their teardrop profiles. 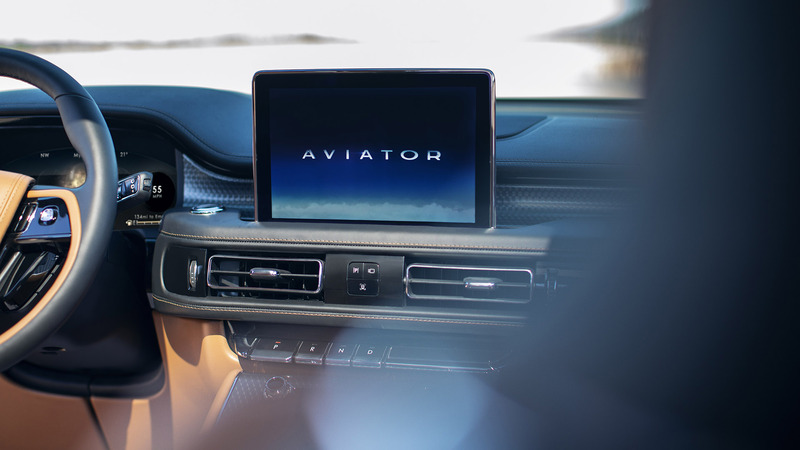 Every new car comes surrounded by a retinue of these buzzword-laden descriptions, but with the Aviator, we have to admit that a lot of it feels genuine. It's one of the best-looking mass market SUVs we've seen in a while, especially in that beautiful Flight Blue. 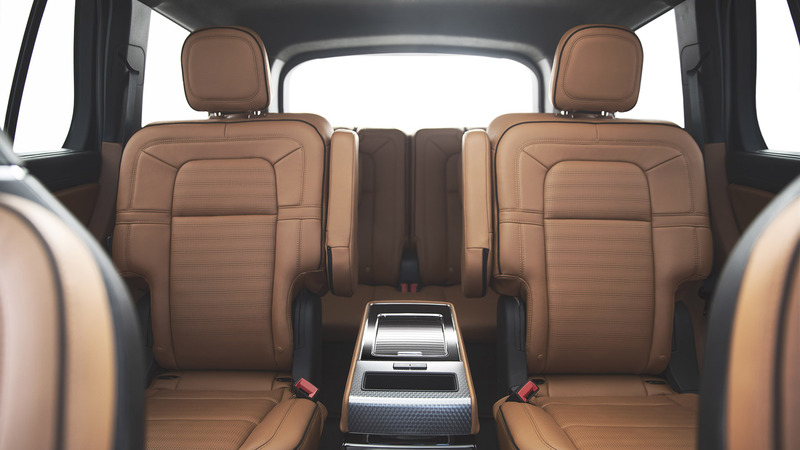 The interior is equally handsome, a minimalist space with Lincoln's 30-way "Perfect Position" massaging power seats, machined-turned aluminum surfaces, and a wonderful mix of old world class and new technology. 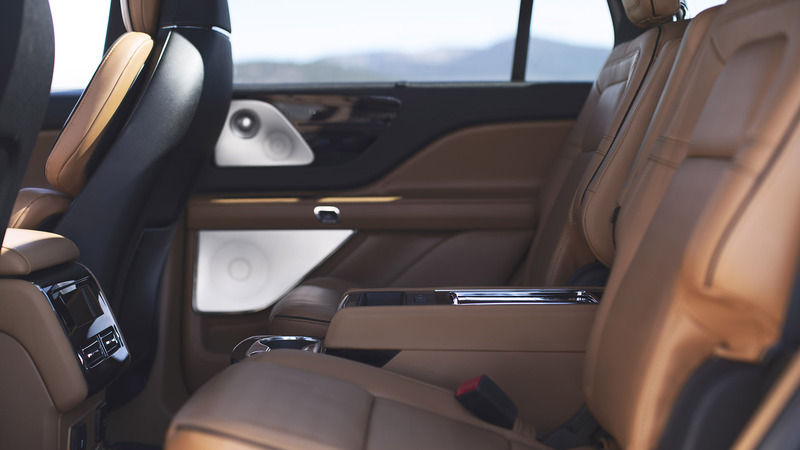 Wireless charging, a standard Wi-Fi hotspot, a 12.3-inch full-color gauge cluster LCD screen, and an optional (standard on the Black Label) 28-speaker Revel Ultima 3-D surround sound system complement the wood and leather surroundings, whose among-the-clouds ethos is enhanced by stellar 360-degree outward visibility. And don’t forget the symphonic warning chimes. Those with prescription sunglasses will celebrate the fact that the new heads-up display will still work with polarized shades. The tech train rolls on with an expansive Phone As A Key (yes, that's the real name) abilities that will allow owners to leave the fob at home—Lincoln execs at the reveal event weren't shy about name-dropping Tesla, claiming the Aviator’s system will be far more secure. As always, forever, until the sun dies out, FoMoCo’s numbered keypad on the driver’s door returns. But how will this nouveau aeronaut take flight on the road? That remains to be seen, but the powertrain specs are historically un-Lincoln: a twin-turbo V-6 rated at 400 horsepower and 400 pound-feet of torque is standard, as is rear-wheel drive. Things get even more interesting in the headlining GT trim, whose additional electric motor juices it to 450 hp and 600 lb-ft of torque. It’s the strongest powertrain Lincoln’s ever produced. The Aviator comes with five different driving modes to further refine the experience: Normal, Excite, Conserve, Slippery, and Deep Conditions, the last of which is designed to maximize all-wheel-Drive performance. The GT version will also gain pure electric and straight gas modes. Helping road manners is the Aviator’s Air Glide air suspension system. It’s an adjustable setup offering different heights for normal, off-road, and high-speed driving—the Aviator will even “kneel” when owners approach for easy entry. 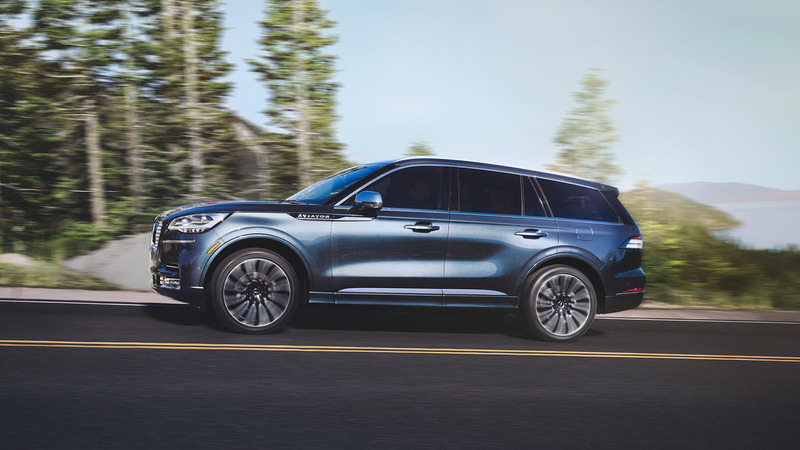 There’s also an optional adaptive suspension package with something called Road Preview, which uses the traffic sign recognition camera to scan the roadway ahead for problems and pre-adjust the damping as needed. Finally, a full suite of advanced safety features dubbed Lincoln Co-Pilot 360 Plus includes goodies like Evasive Steering Assist and Traffic Jam Assist, the latter of which combines smart stop-and-go cruise control with lane centering and traffic sign recognition to handle most driving duties in low-speed situations. We don’t have any details on pure electric performance or range yet for the GT models, as the final certification for those numbers is still forthcoming. But Lincoln has said that the electrified Aviator will take a Level 1 or 2 charge and flood an empty battery with electrons in a few hours. Company executives told us that they’re aiming for above 400 miles of combined range while being upfront that the Aviator’s electrification is more about performance than efficiency. Amidst a cargo plane’s worth of aviation references, Lincoln president Joy Falotico revealed the automaker’s ultimate goal with the new model this week: recreating the "sanctuary" feeling provided by its massive land-yachts of old. So has the company finally reached takeoff speed in the 21st century? We'll find out when we get behind the wheel early next year ahead of the Aviator's arrival on dealer lots next summer. Pricing details haven't been released yet, but expect it to start above $50,000.